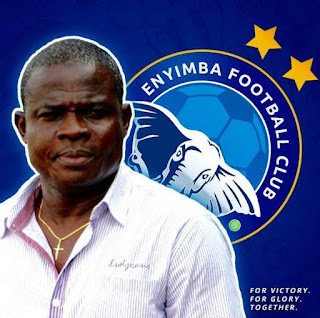 Enyimba coach, Gbenga Ogunbote, says his team is not yet out of the title race in this season’s Nigeria Professional Football League, and insists they will fight to the finish, Completesportsnigeria.com reports. With just three games left, Enyimba are currently fourth on 54 points, eight points behind leaders Plateau United who are on 62 points. MFM FC are in the second position with 59 points, while Akwa United are third on 54 points. Despite Enyimba’s current position, Ogunbote states that they will fight till the very last day of the season.